The foundations of handball (commonly known as “szczypiorniak”) were laid by interned legionnaires from the 1st and 3rd brigade of the Polish Legions, who started playing handball in the camp located in Szczypiorna, a village near Kalisz, which nowadays constitutes one of its districts. The term “szczypiorniak”, which is a nickname regarding handball that is commonly used in Poland, comes from the very name of that village. Over the century, handball was being developed with the support of the Polish Handball Federation (ZPRP), which was established in 1928. Currently, it is one of the most popular sport disciplines in the country, and our teams have achieved successes in the international arena. Due to the centenary of handball, the Polish Handball Federation (ZPRP) has planned special celebrations over the course of 2018. At the beginning of June, the “Monument of handball players”, measuring over 3 meters high and weighing about 800 kilos, which was crafted by an artist from Kraków, Zbigniew Wojkowski, was unveiled in Kalisz – the cradle of handball in Poland. A separate, ceremonial Handball Gala is planned for the second half of the year. For this special occasion, our company will prepare commemorative medals celebrating the centenary of handball in Poland. 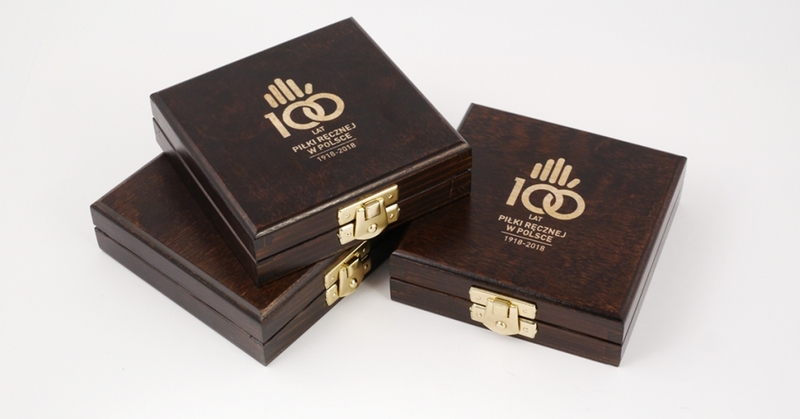 3D medals, whose design remains a secret for the time being, will be held in engraved cases displaying the 100th anniversary logotype. Specially for this anniversary, the commemorative medal was commissioned by the Polish Handball Federation and was designed by Mr. Artur Gosiewski. The signing of a cooperation agreement between MCC Metal Casts and the Polish Handball Federation took place during a meeting at the headquarters of the Polish Handball Federation (ZPRP). During the meeting, the final appearance of the medals was also agreed, which will be officially presented in October during the Gala at the Great Theatre – National Opera in Warsaw.